Rim locks are effectively any door lock which is fitted to the surface of the door rather than routed into the door itself. 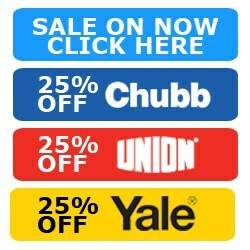 This includes your traditional rim nightlatches we're all familiar with (commonly known as "Yale Locks"), as well as surface mounted sashlocks and deadlocks still found on older properties with their original doors still in place. 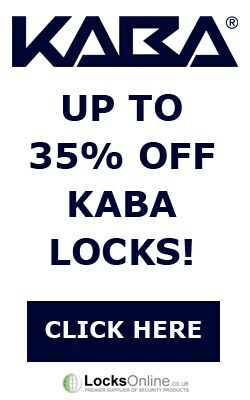 When it comes to rim nightlatches, as times have changed, the complexity of security and diversity in functionality has somewhat increased, so where you used to just have your plain old rim lock with a snib to hold the latch back, you'll now notice a lot of deadlocking options are now available. 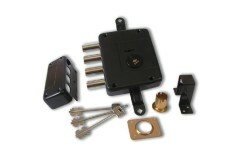 Deadlockable nightlatches in their basic principle, allow you to use your key when leaving the property to deadlock the latch, preventing jemmying/latch-slipping attacks which became a concern for these types of locks back in the day. 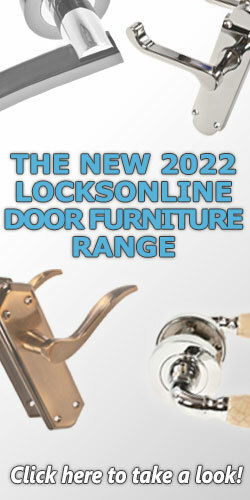 You then have auto-deadlocking nightlatches which host a separate deadlocking snib above or below the latch, which is compressed by the striker plate when the door closes, triggering the latch to deadlock in-place when the door has closed. 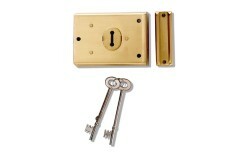 This removes the need to use keys in order to deadlock the latch, as it's all done automatically as the door slams shut. You'll also notice on some of these locks that there's a keyway on the inside handle now, not just on the outside - again, this is all about maximising security - so the old trick of breaking a pane of glass and unlocking the door by putting your hand through to the inside is now fiction with these particular locks, because you can double-deadlock the door, so the door is locked, the latch is locked, and the handle is also locked. Rim Auto Deadlocking Cylinder Night Latches operate when the door closes - the lock will engage the deadlock and require a key to re-enter, meaning the Banham is secure against potential sliding attac.. 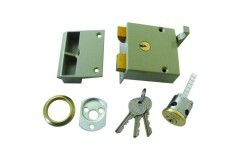 Ideal for use on a front door, these locks come with a latch which can be opened from the outside with the key, then at night if the snib is pushed up the latch is locked in position and cannot be un..
Often found in use on a front door, these locks come with a deadlock which can be opened with the key from the outside, whilst at night if the snib is pushed up the deadlock cannot be opened with the .. 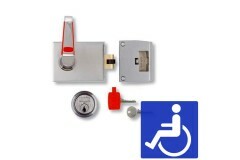 The Union DDA Compliant Easy Access Night Latches have an extended length operating lever and chunky sliding snib for easier location and operation. Contact points feature red tactile rubber surfaces,.. The Rollerbolt Rim locks allows the door to be pulled closed and shut with ease using the rollerbolt mechanism instead of the solid latch mechanism. 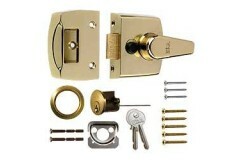 ..
Rim Dead Locks are designed to be fitted on the door and to throw a bolt to lock the door by using a key. They will only work with a key, they don't have a handle to operate them. 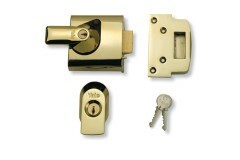 The most popul..
Rim Sash Locks are installed on the face of the door, not 'within' it like a mortice lock. 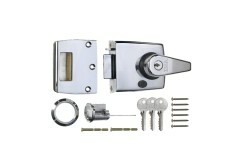 The sash locks latch would be included within the lock case and these types of locks are normally used with d..
Rim Latches are not locks in their own sense, but latch devices to hold the door closed on the latch. 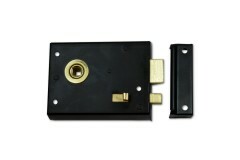 These latches fit the the surface of the door, they are not mortised into the door. For many of th.. 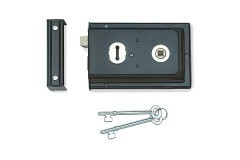 These are rim locking systems that bolt the door into the frame/keep with multiple bolts. 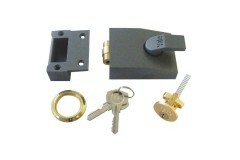 The Cisa multipoint lock system is shown below on our site and we're sure you'd agree, Cisa Rim Multipoints a..